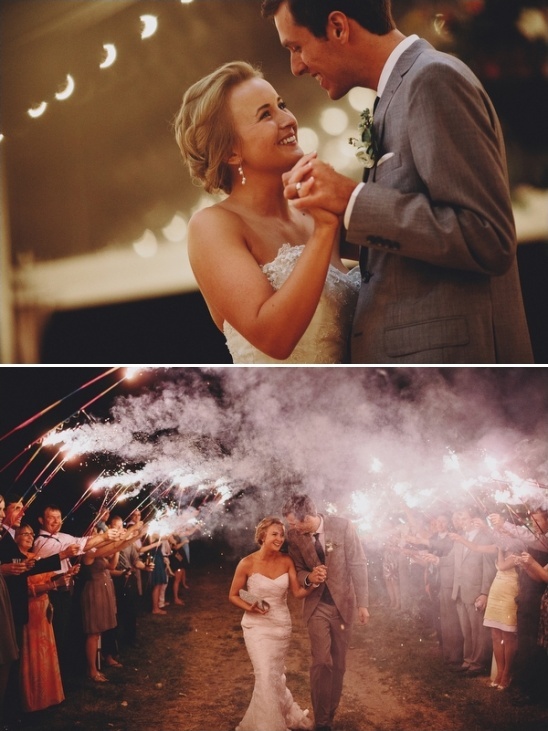 Eden and Zack tied the knot surrounded by their friends, family and great outdoors of the Midwest. 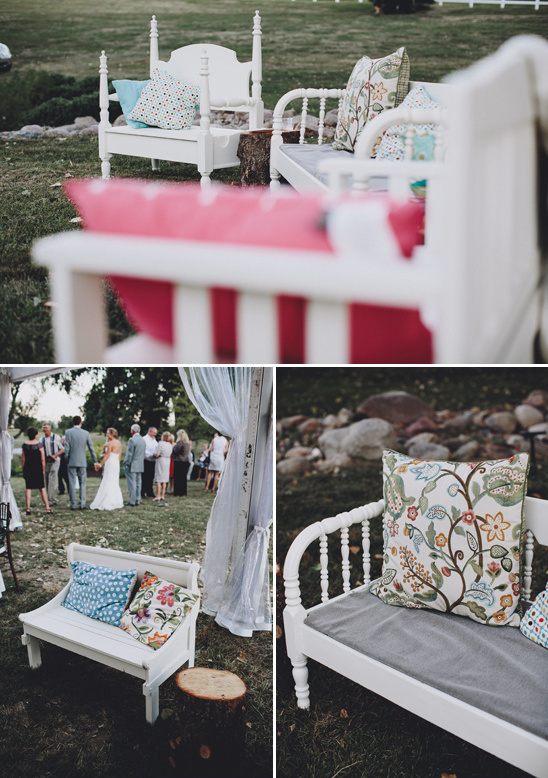 The common area in Skyline Ranch, the private Nebraskan neighborhood where Eden's parents live, provided the perfect setting for Eden and Zack's wedding. 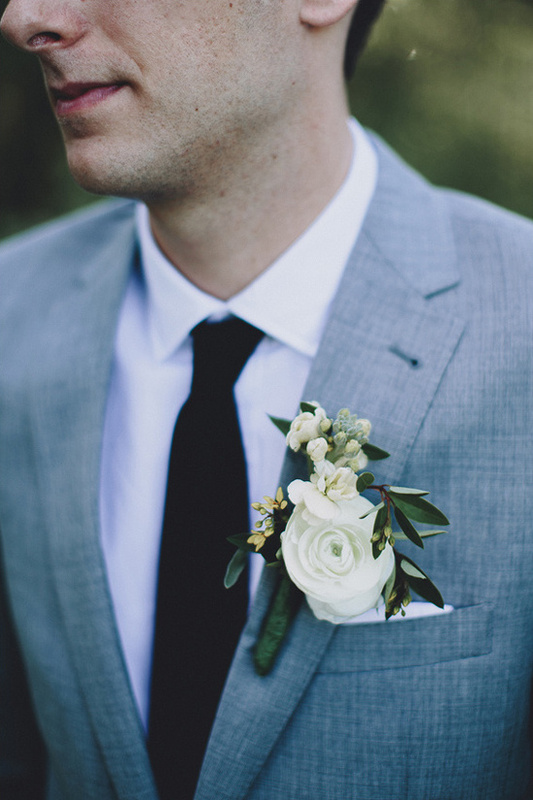 Lovestru.ck Weddings + Events designed this wedding to perfection with simple, eclectic decorations while Eden and Zack's families pitched in using their talents to create many details by hand. 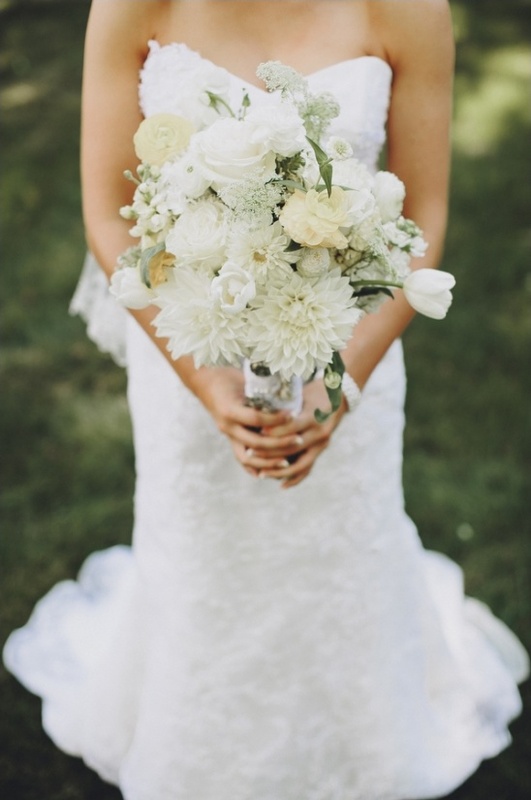 Can't get enough of the amazing details from this eclectic Midwest wedding in the great outdoors? You can check out so many more photos The Mullers captured of Eden and Zack's special day in the full gallery here. 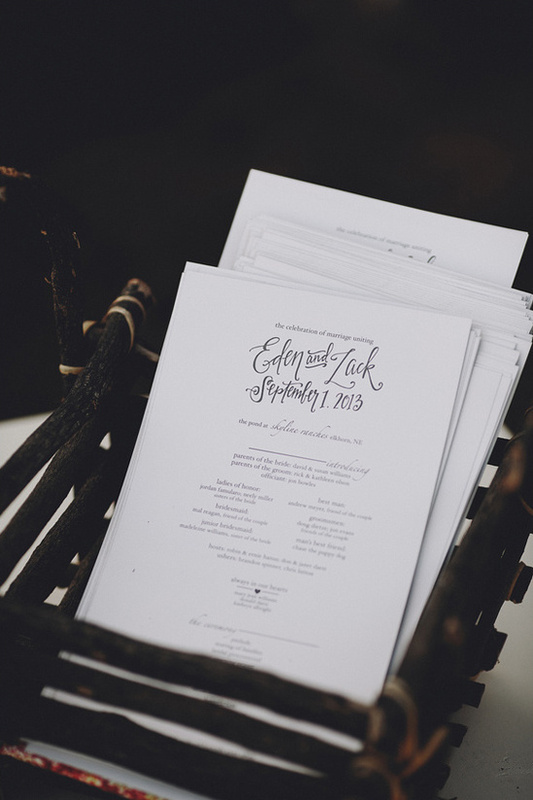 A whole lot of love was put into Zack and Eden's wedding stationery and it definitely shows! 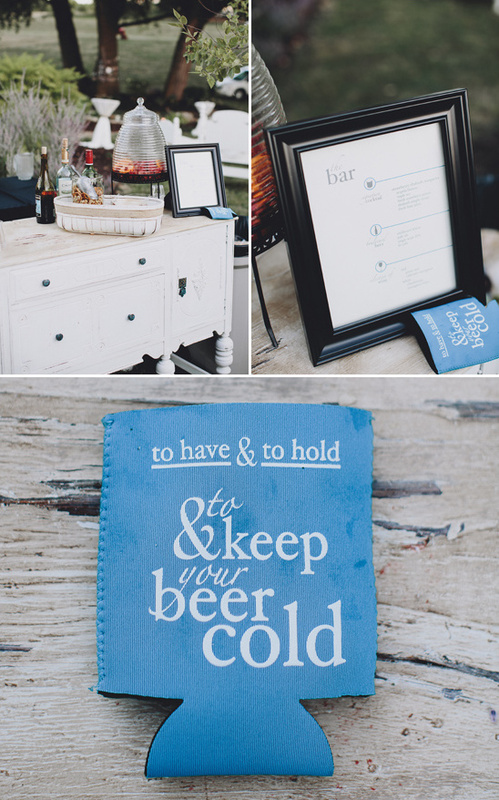 The entire suite was designed by Zack's sister and letterpressed by his father. 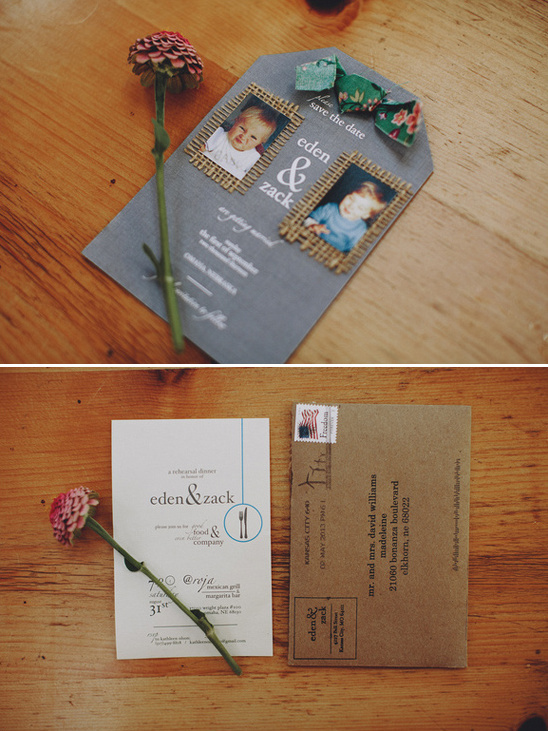 Each invite was wrapped in a colorful piece of fabric and a piece of twine before it was placed into a cardboard envelope and mailed to all their guests. Such a unique idea - just be sure to include the right amount of postage!! 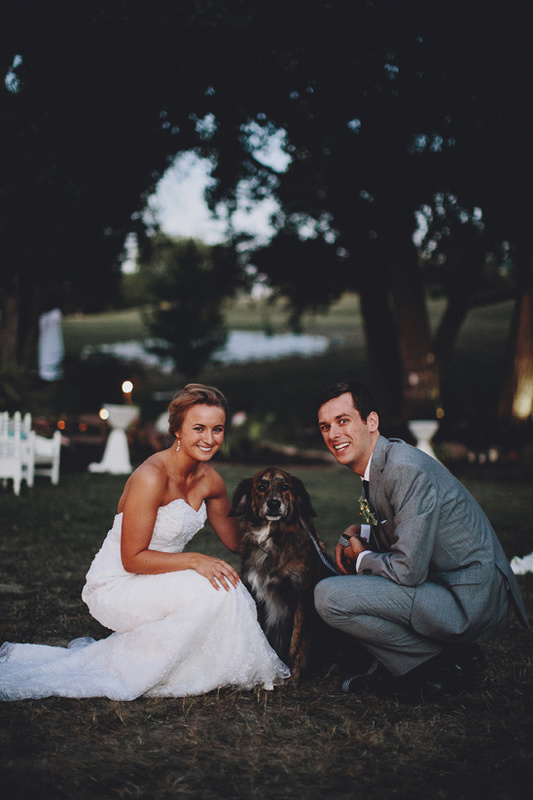 It's always fun to see a couple's pet in their wedding! 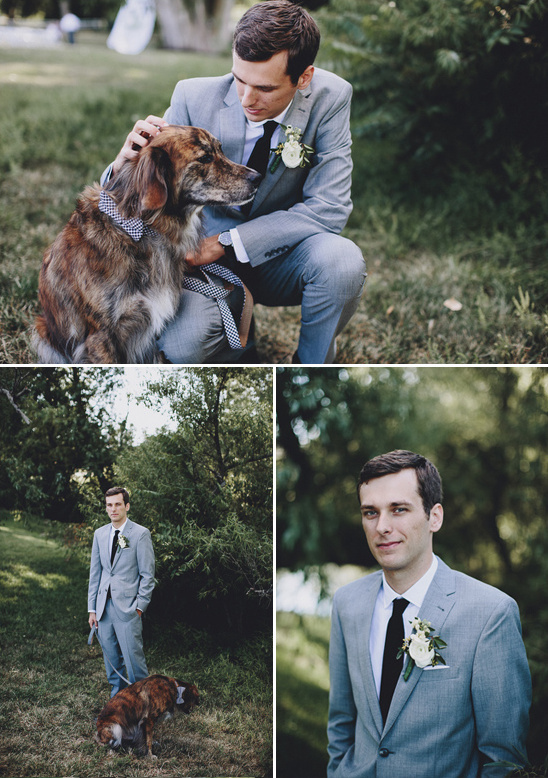 Zack and Eden made their dog one of the groomsman. 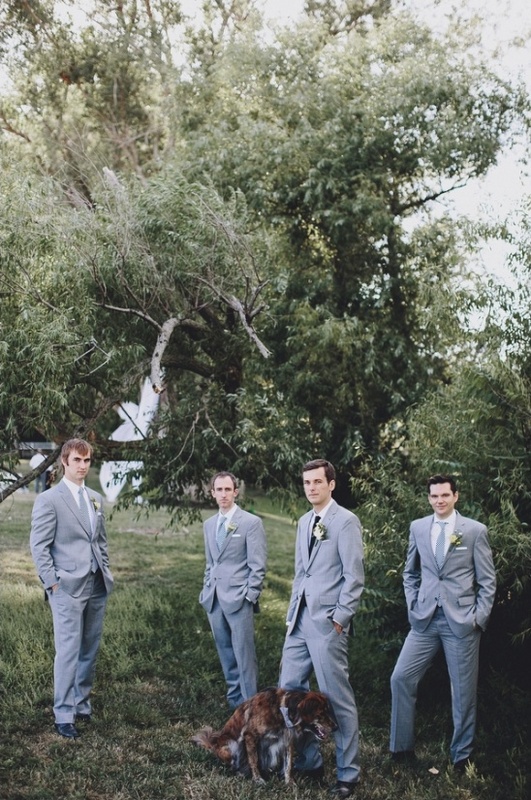 He fit right in with a bow tie and leash that matched the ties worn by the other groomsmen. How cute! 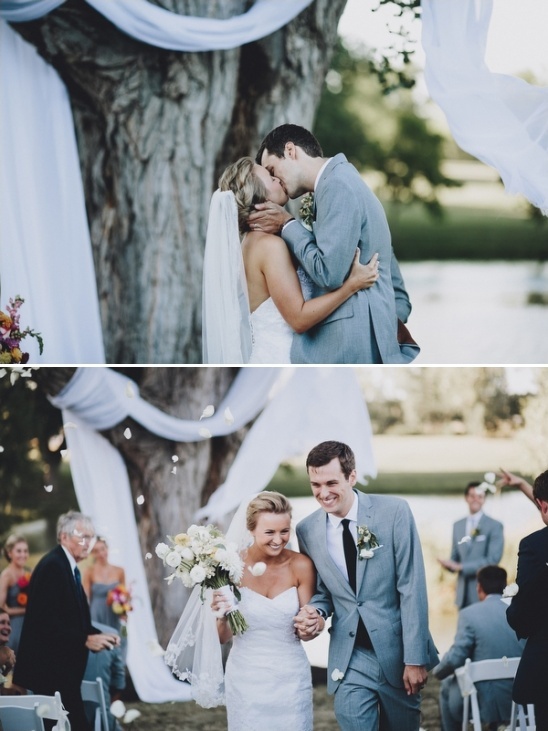 From Lovestru.ck Weddings + Events:150 guests watched Eden and Zack's nuptials under a large oak tree as the well-known Skyline Ranch geese floated in the pond behind them. 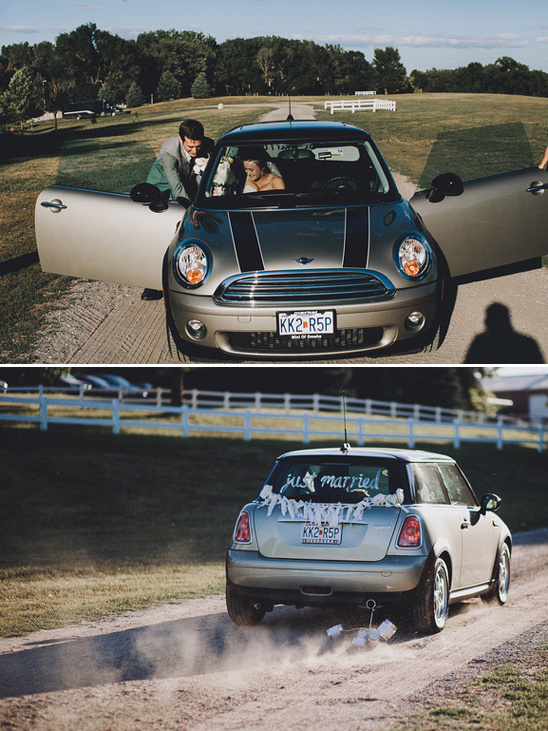 The newlyweds left the ceremony site in their new mini cooper recently purchased from Eden's grandfather. 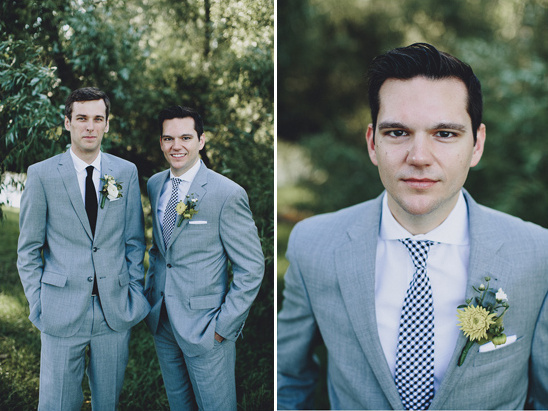 Eden and Zack wanted to create a wedding reception where their guests would feel treated and taken care of without pretension. 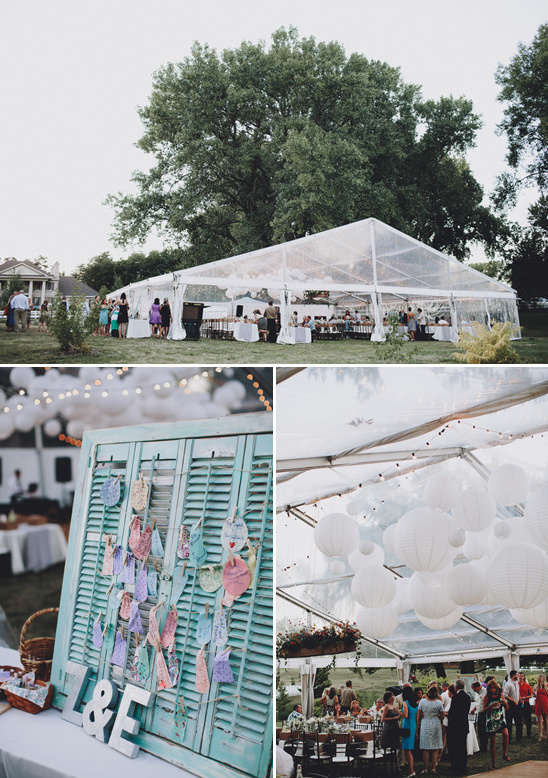 The common area at Skyline Ranch, Eden's parent's private neighborhood, was the perfect place to create a warm and welcoming atmosphere for their Fall wedding reception. 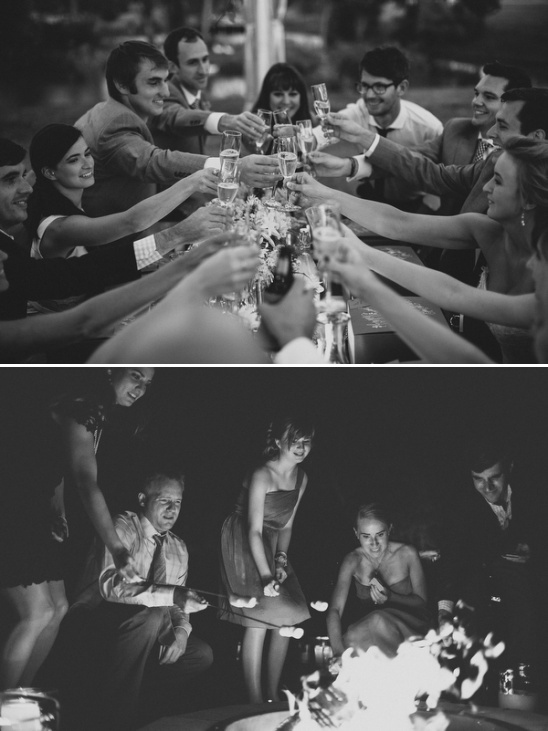 During cocktail hour, guests were able to grab a drink and sprawl out on a picnic blankets or sit on white benches made by the bride's aunt. A variety of lawn games borrowed from friends and family entertained guests throughout the evening. 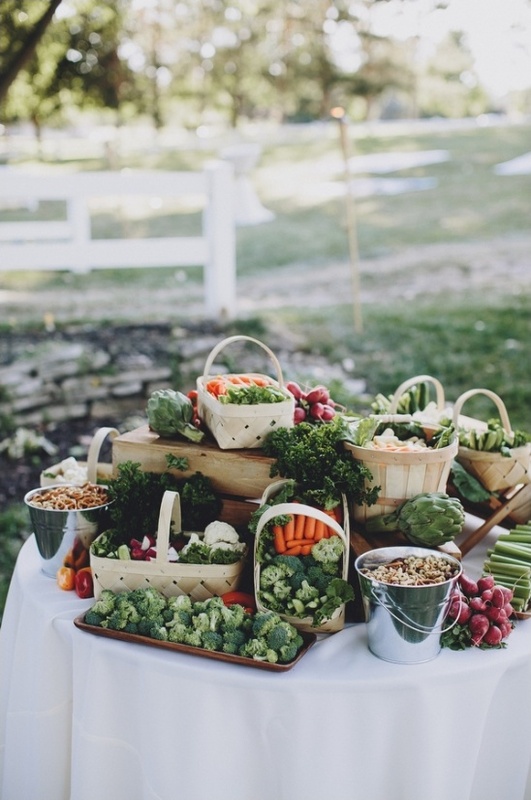 Because their wedding took place in the great outdoors, Zack and Eden opted for individual picnic dinners for their guests rather than having a large buffet. 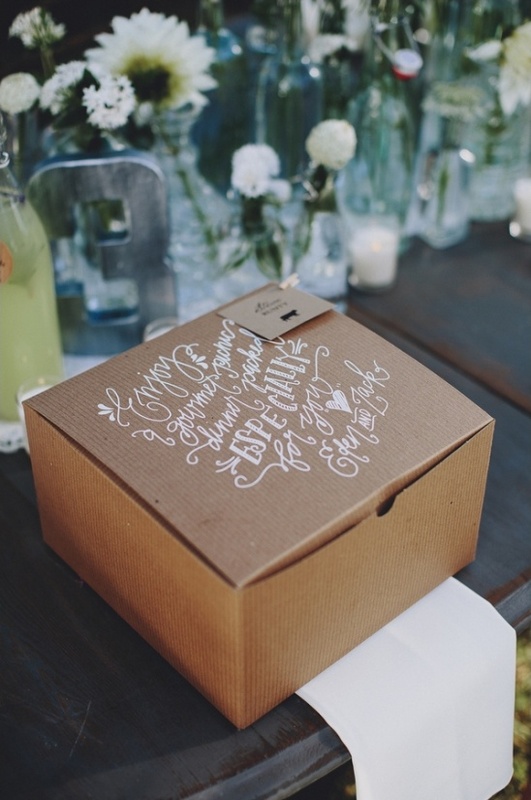 Each of the delicious dinners Attitude on Food created were placed in a cardboard box that was screen printed with a beautiful message from the couple. 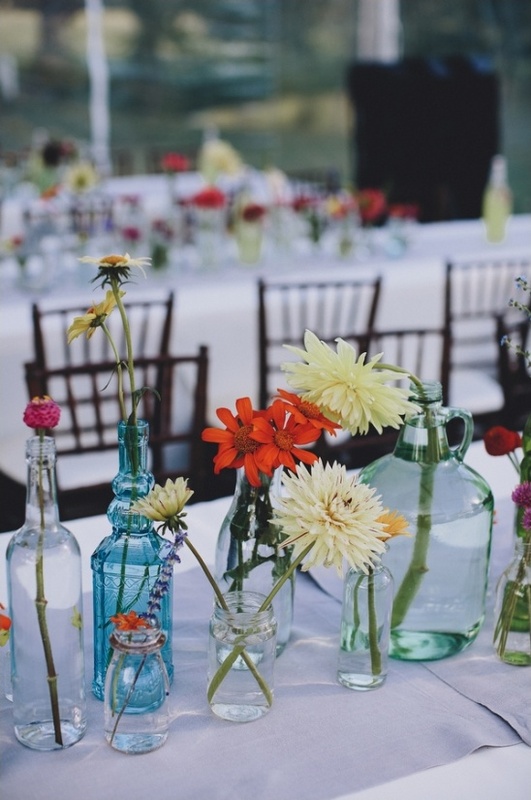 A large assortment of vintage glass bottles holding with flowers from the Mother-of-the-Bride's personal garden decorated the centers of the tables. 1/2 cup water freshly-squeezed lemon juice Combine the honey, rosemary, and water in a small saucepan over medium heat and stir to combine. When the syrup reaches a simmer, turn the heat down as low as it will go, put the lid on, and let the rosemary infuse for about ten minutes. Remove the lid and let the syrup come to room temperature. Strain into a jar. (It will keep in the fridge for weeks.) Combine a couple tablespoons of the syrup with a few squeezes of lemon juice, water, and ice in a tall glass. Taste and adjust to your liking. Add a sprig of rosemary for garnish, and a couple berries if you have them. 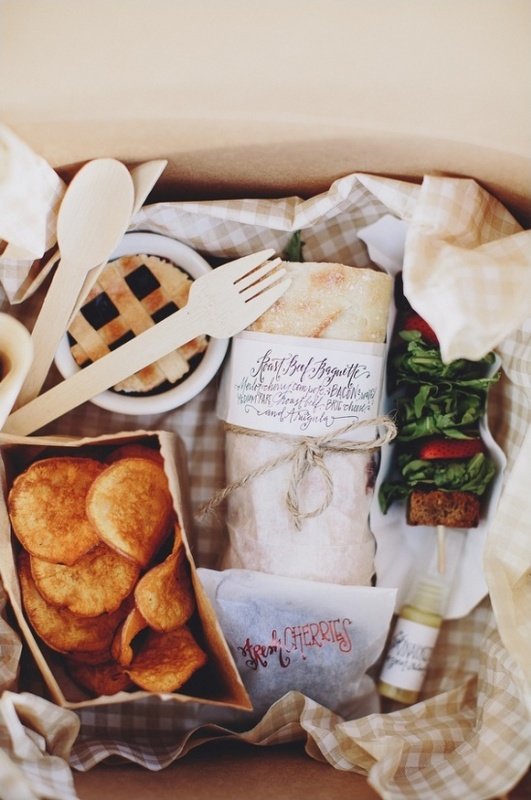 We put special care into designing and producing the packaging for the picnic meals. 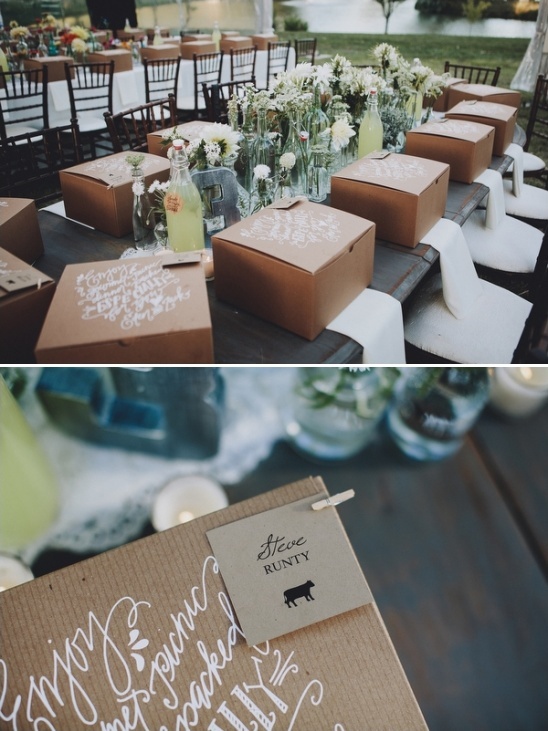 We screen printed the dinner boxes using The Pretty Paperie's hand lettering, and we carried the calligraphy through to the food labels as well. 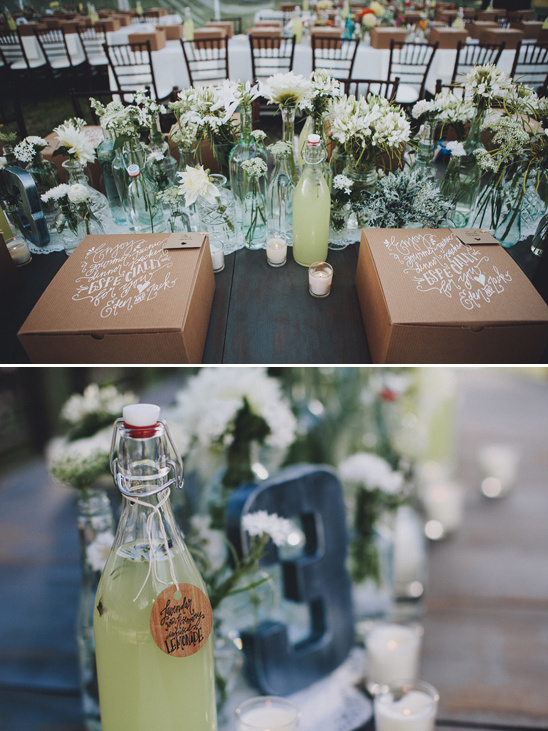 The picnic dinners were set at each place setting along with a collection of bottles filled with fresh flowers. 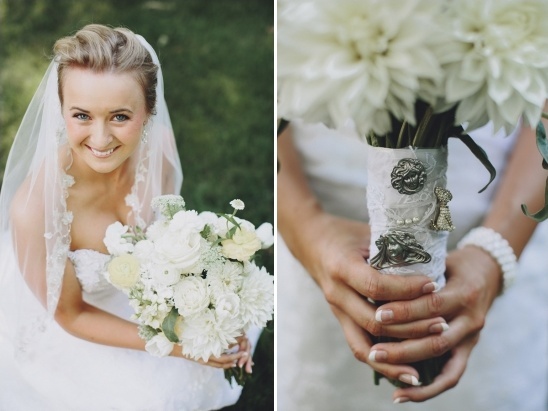 The head table was lined with a lace runner made from Eden's mom's wedding dress. 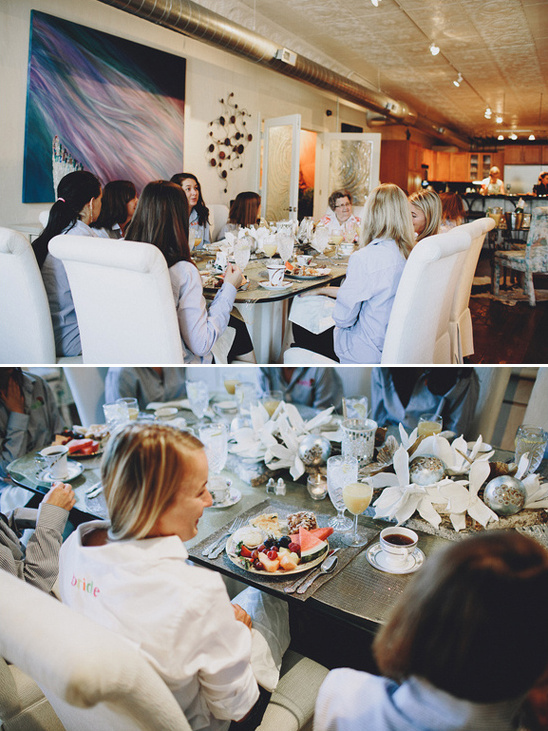 As guest experience was top priority, we focused heavily on food and catering. 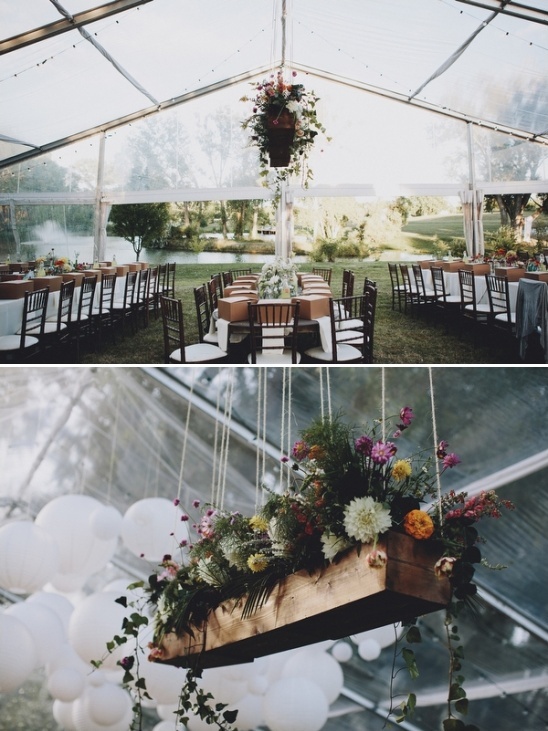 Given the outdoor venue, Eden and Zack hired Attitude on Food to create a gourmet picnic dinner for their guests. 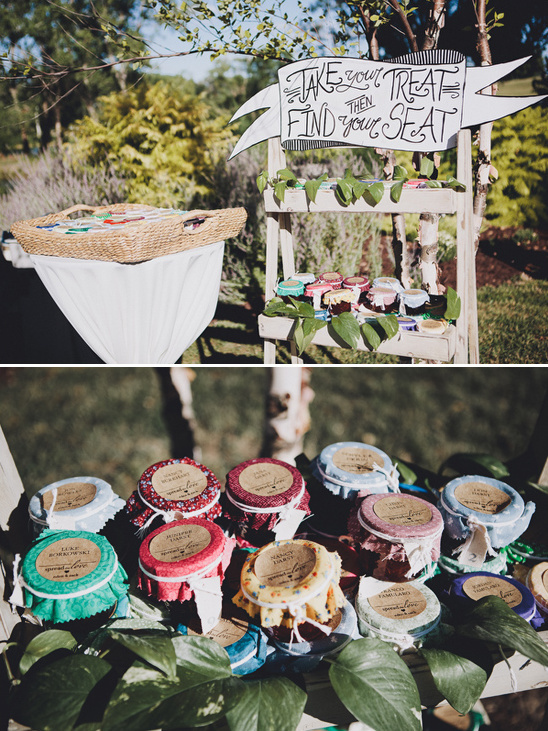 The guests were given an sandwich option and each meal was served with strawberry salad on a stick with banana bread croutons, homemade sweet potato chips, fresh cherries, and blackberry pie with a lattice crust on top and crumble on the bottom (the best of both worlds.